Google Chrome is a great browser, but it’s not great to your laptop’s battery. The more tabs you have open, the quicker your computer will run out of juice (although at a certain point, one more tab won’t make a difference for your already tanked battery, as a WIRED writer found out during a 2013 test). Now, Google is trying to fix the problem. The new version of Chrome dramatically reduces the percentage of CPU (central processing unit) your computer uses while running a large number of tabs in the browser. The result? Greater battery life and faster performance, according to Ars Technica UK. 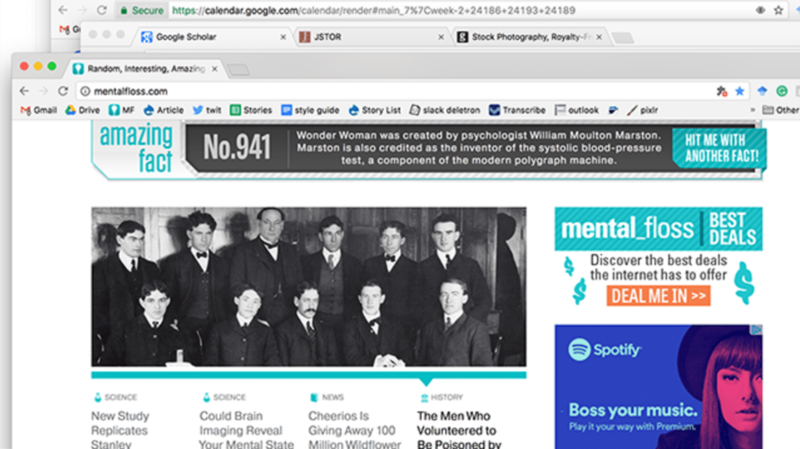 Previously, you could download an extension like One Tab, which collapses all your open tabs into a list of links to reduce memory usage, but sometimes, you just need to be able to toggle between tabs while the pages are still loaded—especially if you’re working on a research project. Chrome 57 increases how much the browser throttles background tabs, meaning it limits the amount of CPU that the tab can use. After 10 seconds of being in the background (so not the tab you’re actively looking at), Chrome limits how much processing power a tab can use to about 1 percent of each processing core, improving battery life. However, this doesn’t apply to some types of web pages, like those playing music. The Chromium team says it's seeing ’25 percent fewer busy background tabs’ with the new throttling mechanism in place. Anecdotally, after updating to Chrome 57 and with about 20 tabs open, my laptop feels a lot more responsive. Switching between tabs feels a little quicker, and there seems to be less input lag when typing or otherwise interacting with the browser. I haven't tested battery life yet, but it wouldn't surprise me if there's a significant improvement. By 2020, Google plans to completely suspend background tabs from updating, rather than letting them continue running and using up CPU, a move that will likely increase battery life significantly. For now, however, Google estimates that Chrome 57 has led to 25 percent fewer busy background tabs. You can update your browser by going to “About Google Chrome” in your taskbar.